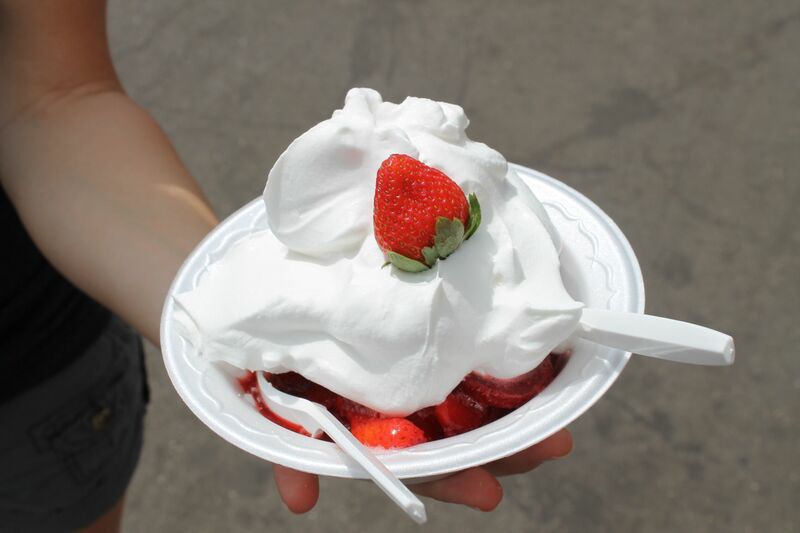 Joy, it’s the Strawberry Festival! 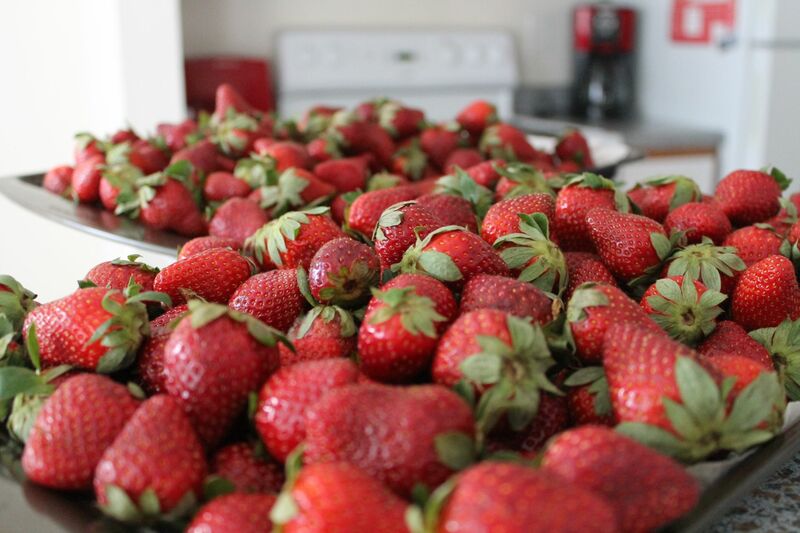 Red is one of my favorite colors so it is fitting that strawberries, with their luscious red color, are one of my favorite fruits. Packed with vitamins, low on calories and perfect for snacking on at breakfast, lunch or dessert, they are practically perfect to me! 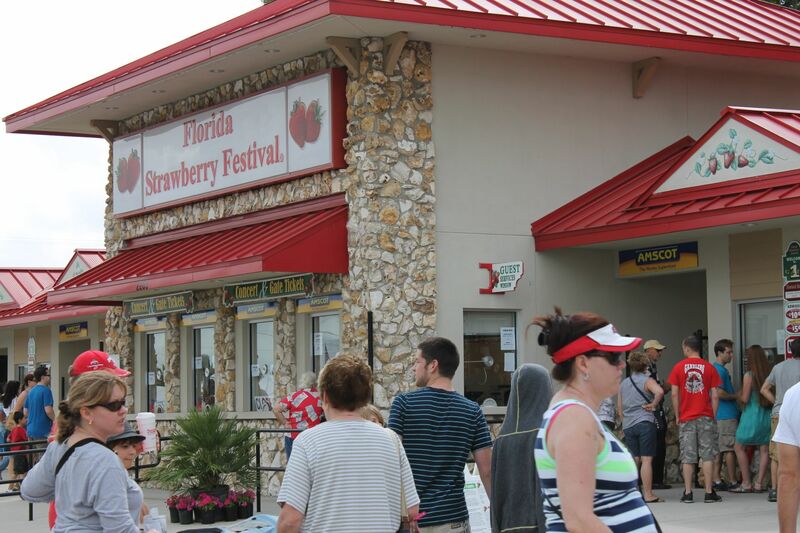 Nick brought me to The Florida Strawberry Festival in Plant City last year and I loved it so much I made sure we had it on our calendars for this year. 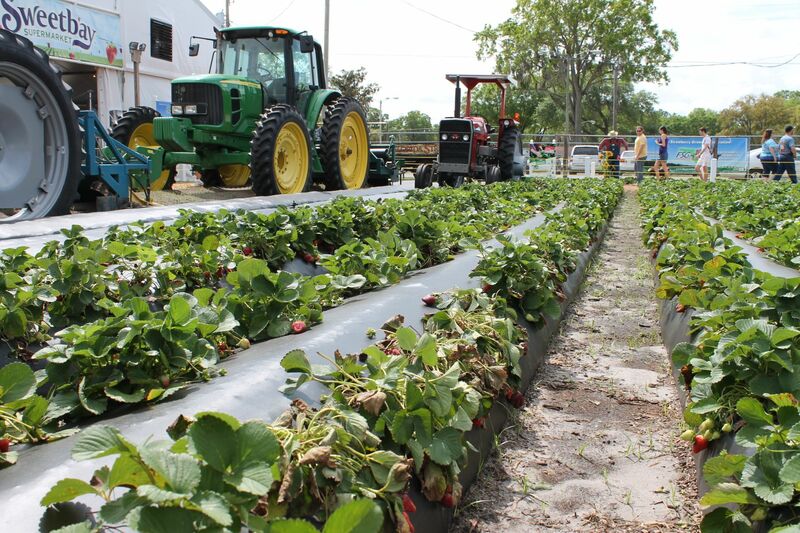 So during its last weekend (it’s open usually the first couple weeks of March), we made the 45 minute drive to Plant City to return to this festival of fried food, pig races, festival rides and of course, STRAWBERRIES. Now, I have to say that if I lived closer during the week (Naples is about 3 hours away) I would have gone to this festival sooner, on a weeknight even. Why? They have some pretty incredible musical acts perform here! Acts like Air Supply (oh yeah), Jake Owen, Josh Turner, The Band Perry (so sad I missed these guys) and even Reba! Alas, I missed the music this year again, but the festival itself is worth the visit regardless. 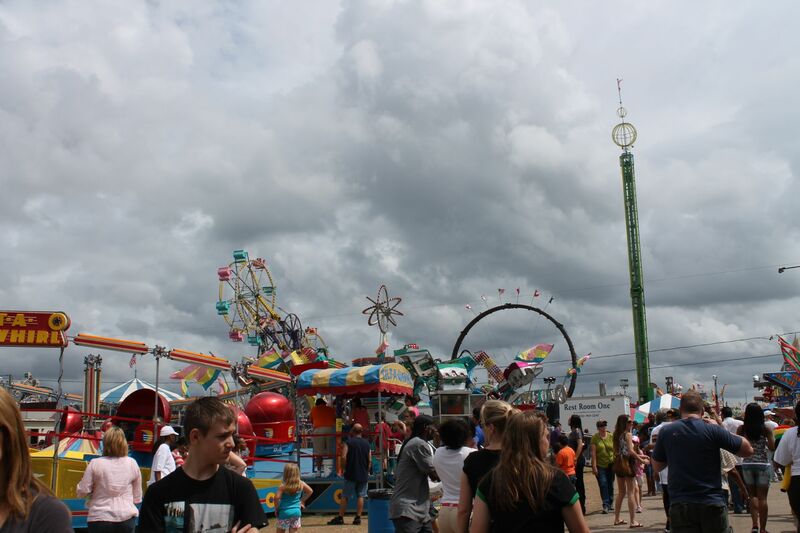 Rides – Didn’t go on any, but there are plenty! 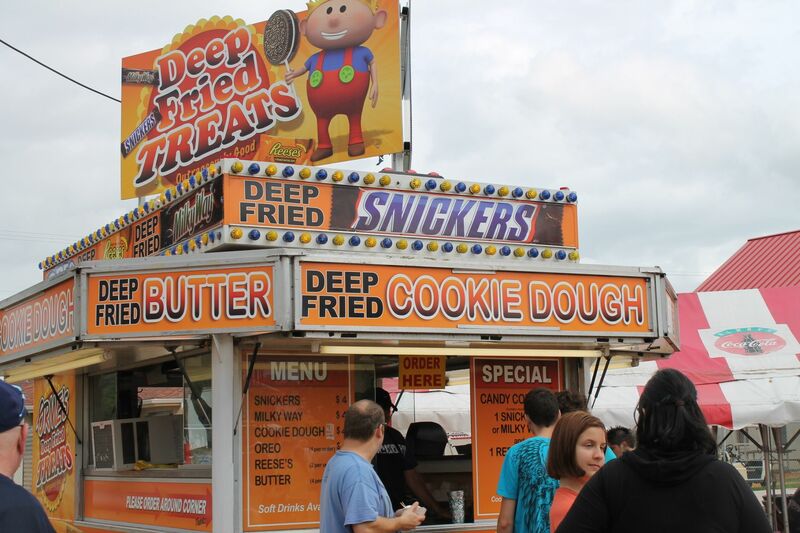 Is there really anything to say about food at fairs and festivals? 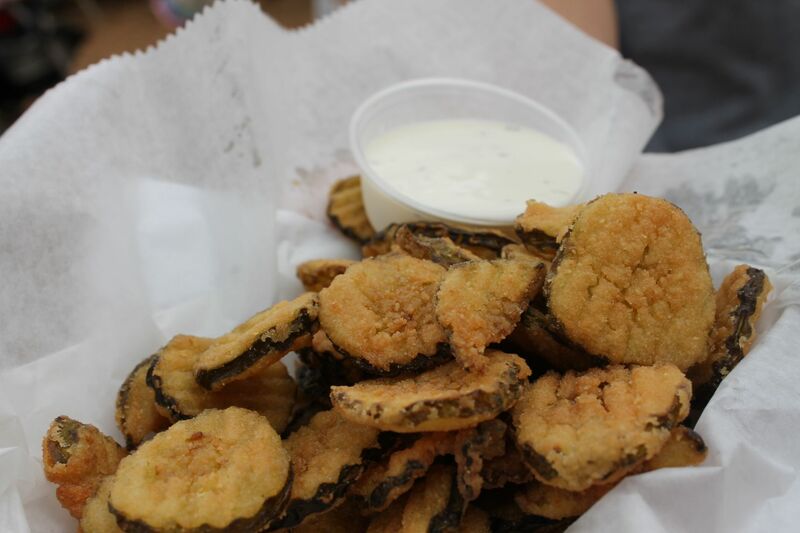 It’s somewhat terrifying to see how many things they’ve managed to deep-fry, but even I gave in with some fried pickles. And of course we had to share one massive strawberry shortcake! 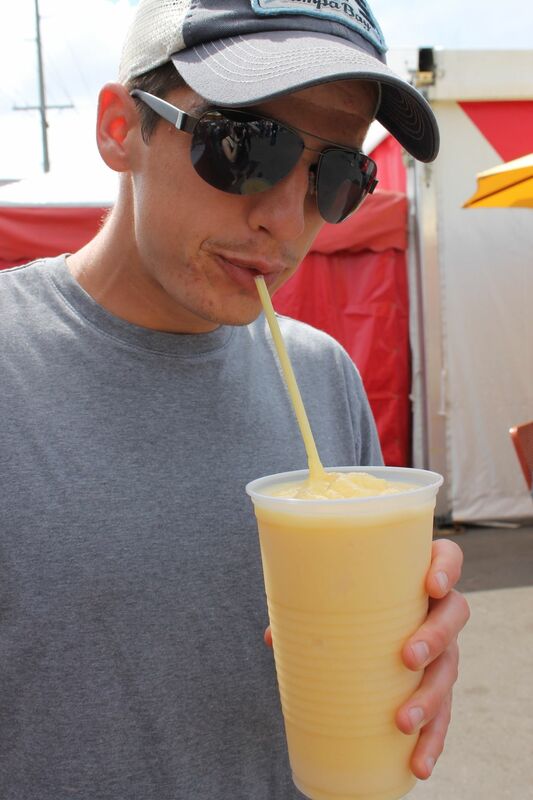 Though both Nick and I felt slightly overwhelmed when our fun “little” frozen drink turned out to be the biggest drink we’d ever seen. 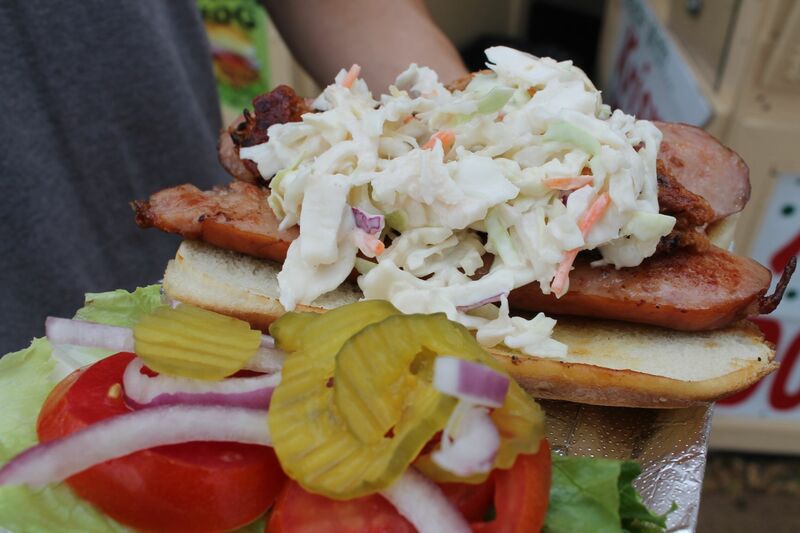 As with many fair foods, it’s good, just a bit too much (we only made it about half way through this puppy). 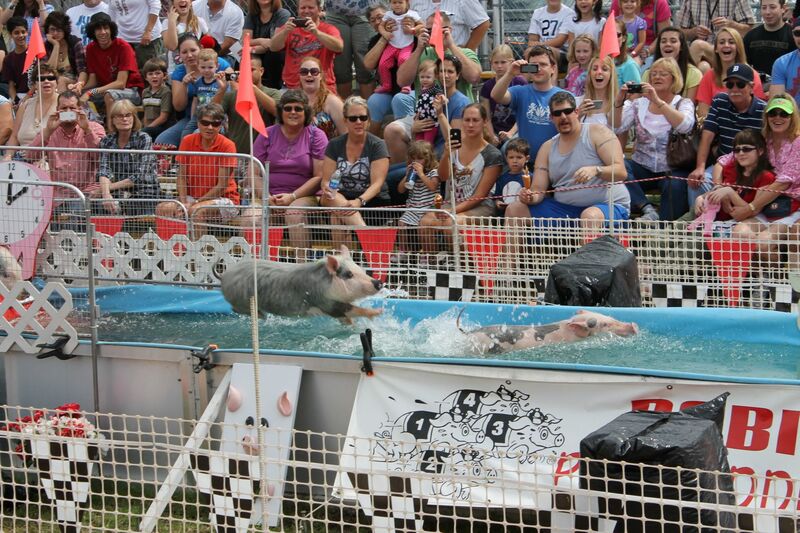 Last year was my first ever experience with Pig Races, but I have to say, I’m hooked. Everything from the pop-culture names they twist to be pig-related (aka. 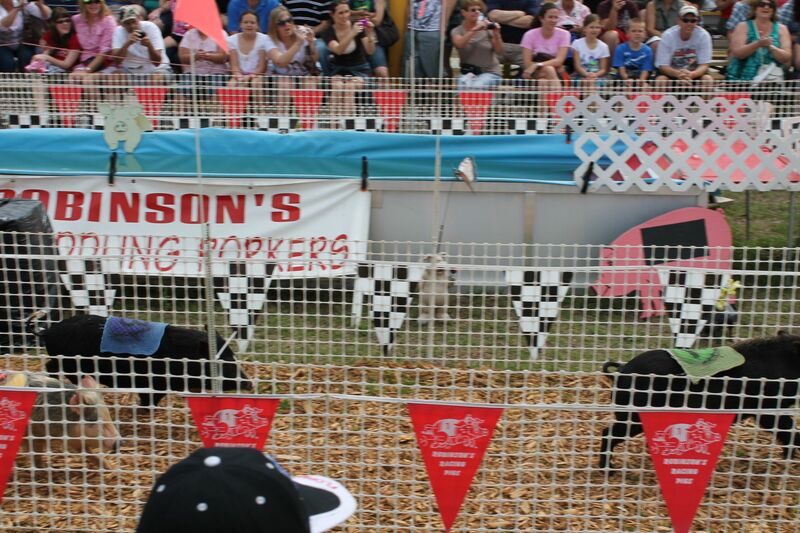 “Britney Spare Ribs”), to the Oreos that pigs race for, and of course the little oinkers themselves. 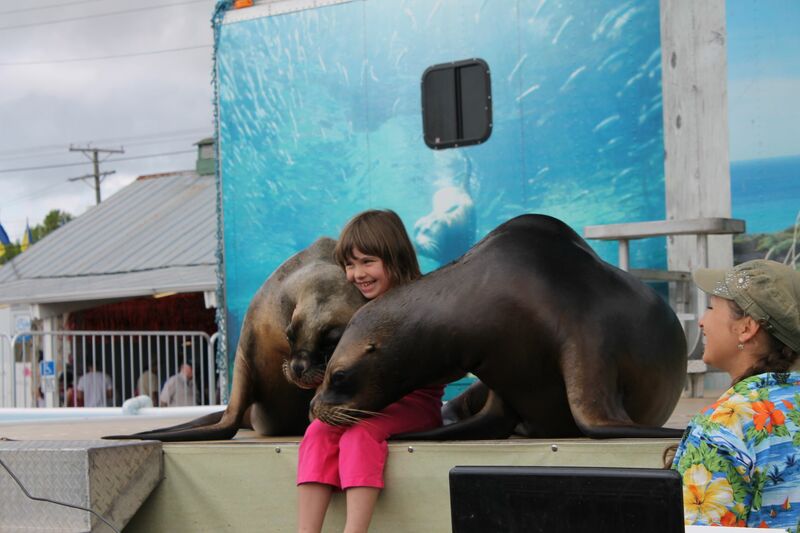 I don’t frequently go on the rides, but I do enjoy watching the crazy people that do. It’s entertaining to watch people zig-zag their way off the spinning rides, hair askew and eyes still rolling. And there was NO shortage of rides here. 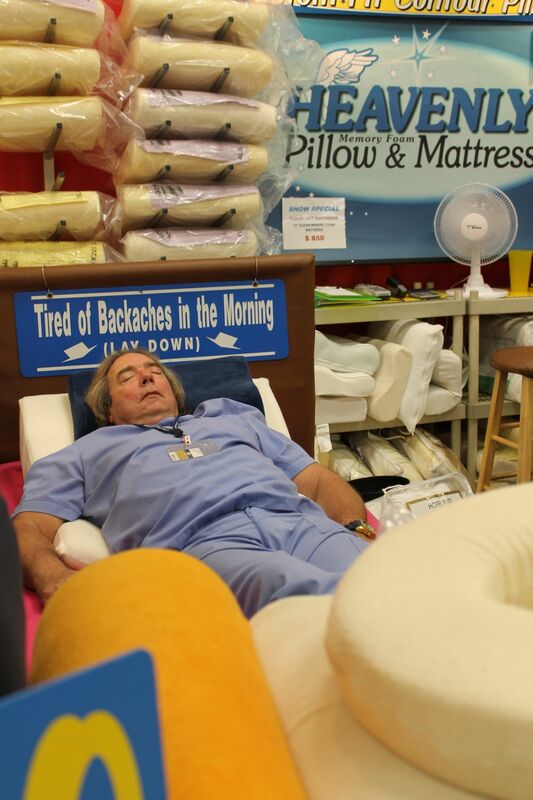 No, he wasn’t a sales person demonstrating or even a prop, he was just someone who wanted to nap amidst a gigantic crowd. The highlight of the day was on the way out when Nick and I handed $6 each to a nice gentleman on the side of the street selling fresh (yummy smelling) flats of strawberries for the local Boy Scouts and we received not one, but TWO giant flats of berries! We managed to get them back to the car okay, but we just stood staring at the mounds of berries we had once we got home. Thank goodness for freezing! I’m still trying to figure out what to make with these bad boys, but they are great in smoothies in the meantime. What was the last festival you went to?